This beautiful angel figurine is a reminder to add prayer to your every day. 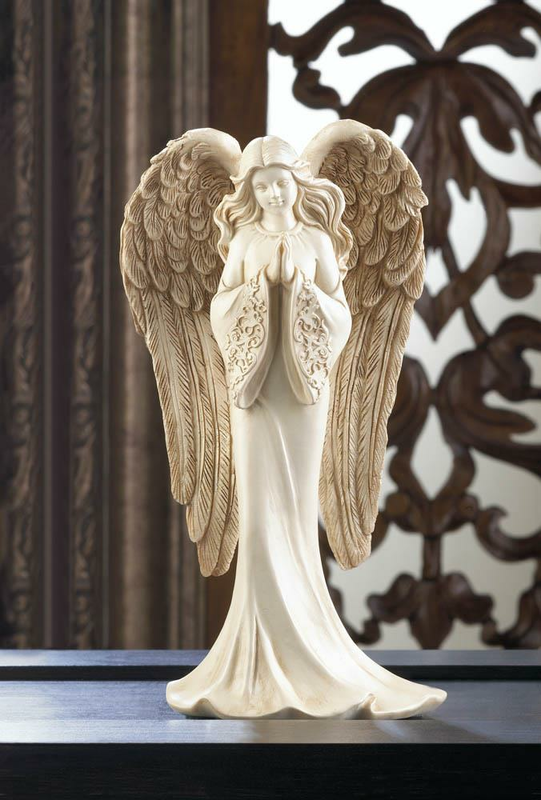 She's wearing a flowing gown and has fantastically large and detailed angel wings. 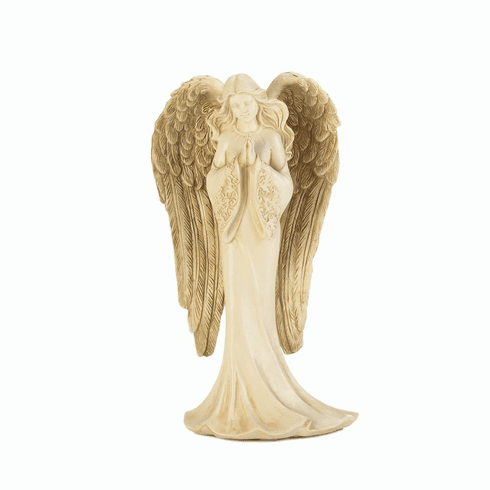 She will be a faithful friend that you'll love seeing on your shelf or mantel. Weight 0.8 pounds. 4" x 2.5" x 8". Polyresin. UPC Number: 849179030551.